Mr. Nescafé, we loved your voice, but not your watery instant coffee. Zap ahead a few decades to the real pours. One of my all-time favourite coffee zones is the unfussy, slightly grungy Mercury Espresso Bar in Leslieville, Toronto. The baristas are wizards and the wooden shelves are filled with freshly harvested coffee beans from across Latin America. There’s usually lyrical art up on the walls. I also like the no-cellphone-policy-while ordering. Respect for respect. After beach volleyball and paddleboarding, the long weekend at Lake Huron was spent luxuriating with Tim Horton’s stored in a big tin and pulled out of a cedar cupboard. 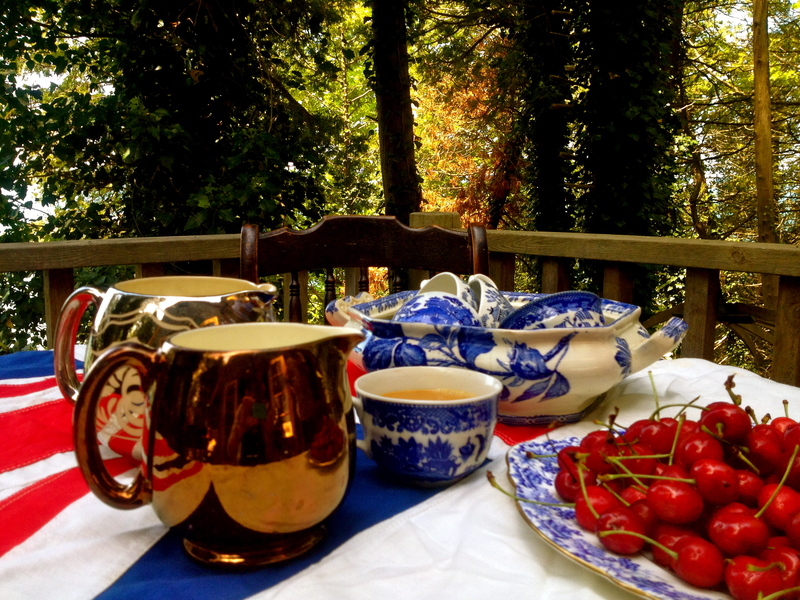 Savoured in blue willow cups with vintage hand-stitched flag from Ontario. 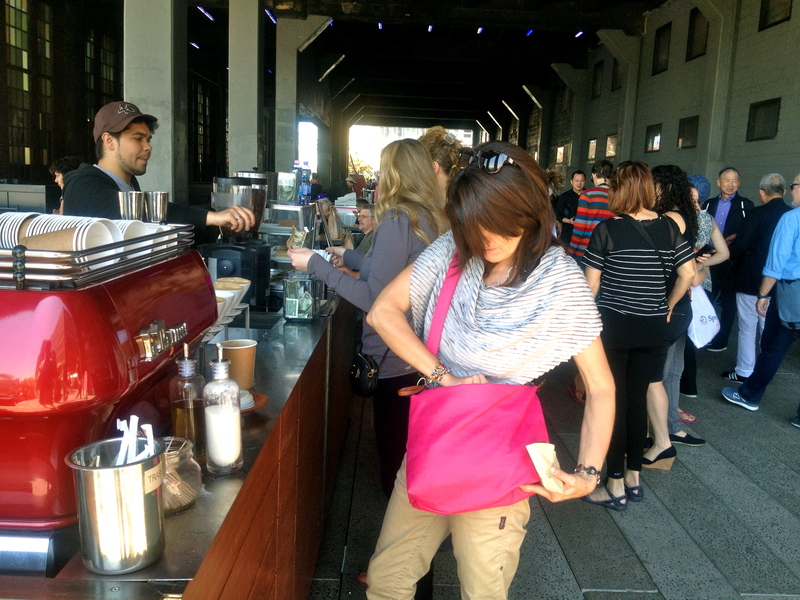 Lining up last week for some fresh brew at the coffee cart on the elevated High Line park in NYC’s Meatpacking District. 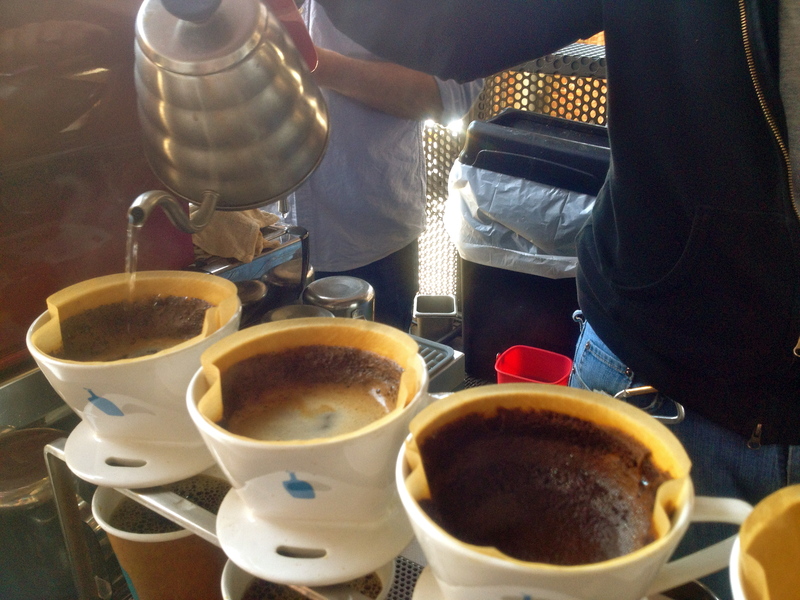 Perfect pours by unhurried baristas, despite the million or so visitors walking the High Line each year. Manual drip has its charms. Like music, which sounds infinitely better with record players. 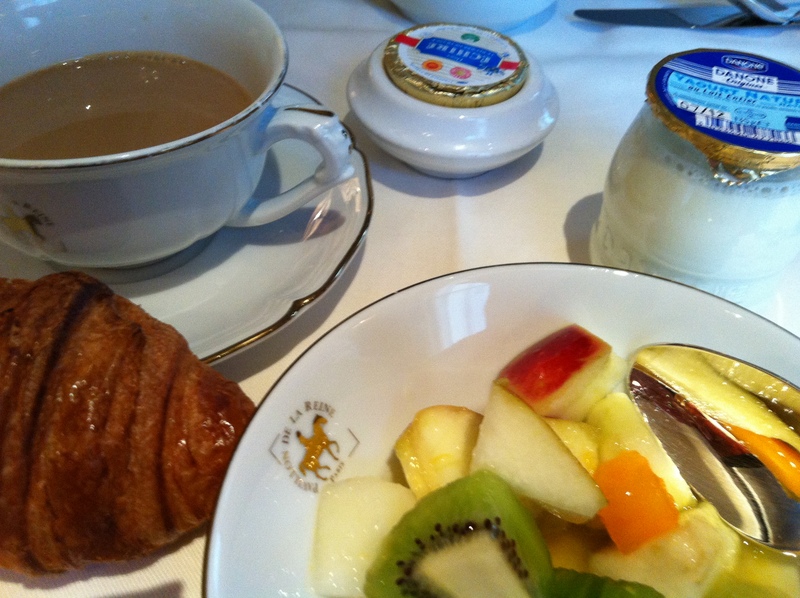 Nice to wake up to: Very buttoned down hotel coffee, like this classic scenario at Pavilion de la Reine next to Place des Vosges, Paris.